The number of malicious advertisements that Internet users tried to infect with malware, tried to deprive data or attempted to defame it in another way, was reduced in the second half of 2017, security company RiskIQ claims. In the third quarter, the security company detected 53 percent less malvertising than in the second quarter of 2017. 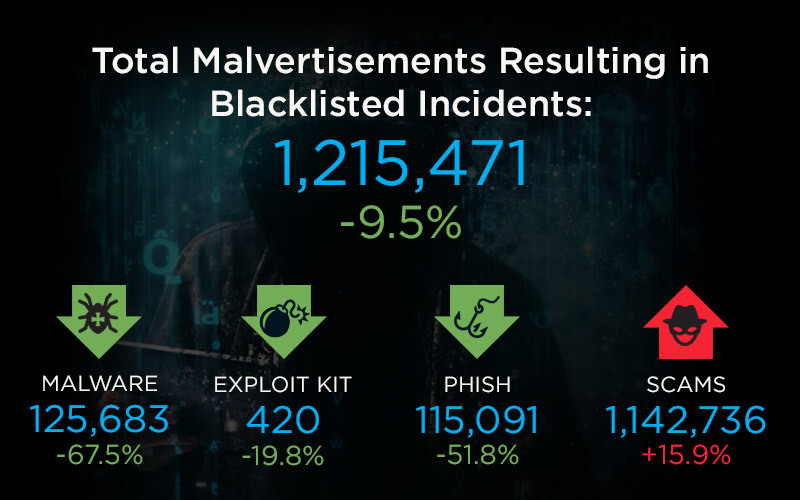 In the fourth quarter, this decline continued and 10 percent fewer malicious ads were detected. The use of advertisements to attack unpatched internet users, for example through vulnerabilities in Adobe Reader or Internet Explorer, decreased by 36 percent in the third quarter and 20 percent in the fourth quarter. Other malware in ads decreased by as much as 67 percent in the fourth quarter. 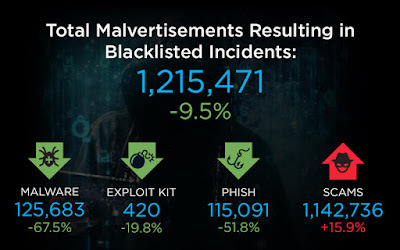 The fourth quarter, however, saw an increase of 16 percent in the number of ads pointing to a scam, but overall there were fewer rogue ads in both the third and fourth quarters.